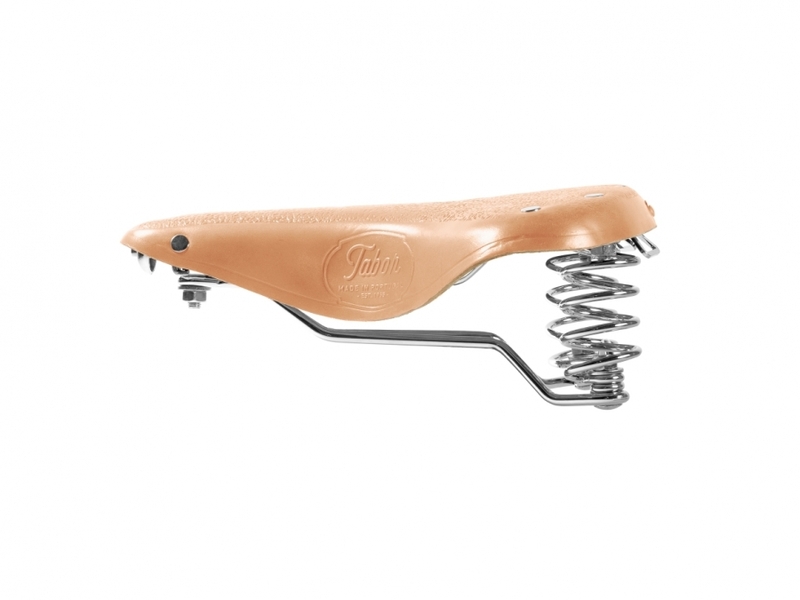 Tabor leather touring bike saddle model presents a standard 50mm width rail system compatible with most conventional seatposts. It is made from beautiful leather that is naturally colored. With 310 mm width, and lightweight, it's the suitable leather saddle for trekking or touring bicycles. This model feature 2 rear coil springs. A perfect upgrade for your bike.